Designed for ease of use, Lansinoh’s manual breast pump provides a discreet and convenient way of expressing while on the move, with no need for batteries or an electrical source. If you require spare parts for this product please contact 0113 205 4201 or email help@lansinoh.co.uk referencing the parts you require. 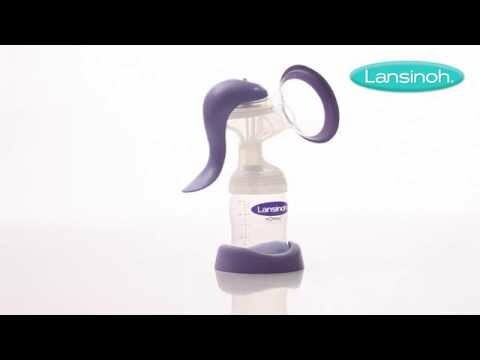 Watch this video to see how easy it is to use the Lansinoh Manual Breast Pump. Learn how best to clean our Manual Breast Pump in this video. 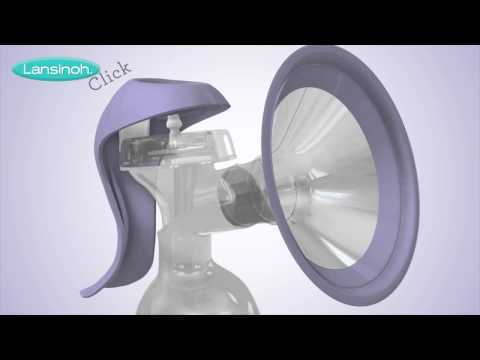 See how to assemble the Lansinoh Manual Breast Pump with this quick video. Learn about our new and improved manual breast pump. Easy to use and clean, efficient, with 2 phase technology. See our Manual Breast Pump in this 360° view. Lansinoh’s Manual Breast Pump provides a portable and convenient option for breastfeeding women who want to express discreetly and in comfort while on the move, as it does not require batteries or an electrical source. Designed for ease of use, a simple switch at the top of the handle enables you to switch between the ‘let down’ and ‘expression’ phases of breastfeeding. The ‘let down’ phase mimics your baby’s natural sucking style at the start of the feeding process. The ‘expression’ phase replicates the longer, slower draws your baby makes during breastfeeding. The ergonomic handle means the Lansinoh Manual Breast Pump can be used with one hand without placing any strain on your wrist. It also features a unique ComfortSeal cushion that creates a secure seal which makes pumping not only more efficient, but also more comfortable. A unique stand is included which keeps the pump bottle stable during and after you have expressed. Lansinoh’s wide neck bottle also comes with the Manual Breast Pump, which is compatible with the different pumps, lids and teats within Lansinoh’s product range.